2013 was the 20th anniversary of Power Rangers, and the spike in popularity that the series received hasn’t backed down. As someone who experienced the mania firsthand twenty years ago, it’s been exciting to experience it again now and see kids falling in love with the same things I did at their age. But as an adult it’s glaringly obvious that Power Rangers is a show for kids, especially the Mighty Morphin seasons. And that’s where The Order comes in. 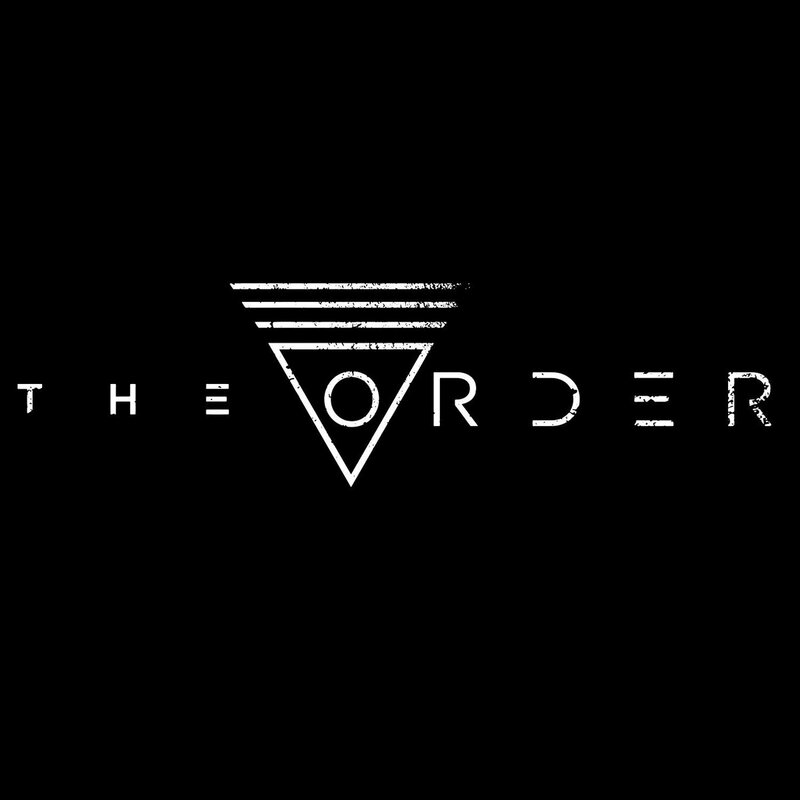 The Order‘s cast is made up of former Power Rangers actors spanning twenty seasons of the show. From the 20th anniversary season’s black ranger, Azim Rizk, all the way back to the original red ranger, Austin St. John, there’s something for anyone who’s ever been a ranger fan. And don’t expect spandex suits and mascot monsters. There’s no Japanese stock footage here. Check out the trailer below, and you’ll see some incredible choreography and dark, gritty costumes. The promotional material for the movie has a hint of Civil War to it with the #ChooseASide hashtag being used to divide fans into two teams. And darn it if they didn’t make it impossible to just choose the side with the best actors. With Austin St. John (original red ranger), David Yost (original blue ranger), Walter Jones (original black ranger), Paul Schrier (Bulk), David Fielding (Zordon), as well as Catherine Sutherland, Karan Ashley, Johnny Bosch, Jason Faunt, Erin Cahill, Blake Foster, and more, you’re guaranteed to be cheering against at least a few of your favorite rangers. And yes, they are still adding cast members (just announced: Jason Narvy (Skull)! So when can we see this movie? Well, that’s where you come in. At the time of posting, the film currently has a campaign on Indiegogo with seventeen days left. They’ve already reached $75k out of their $100k goal and show no signs of slowing down. Rewards range from badges to signed pictures to voicemail messages to paintball with cast members to an actual speaking role in the movie. Yes, you’re reading that right. 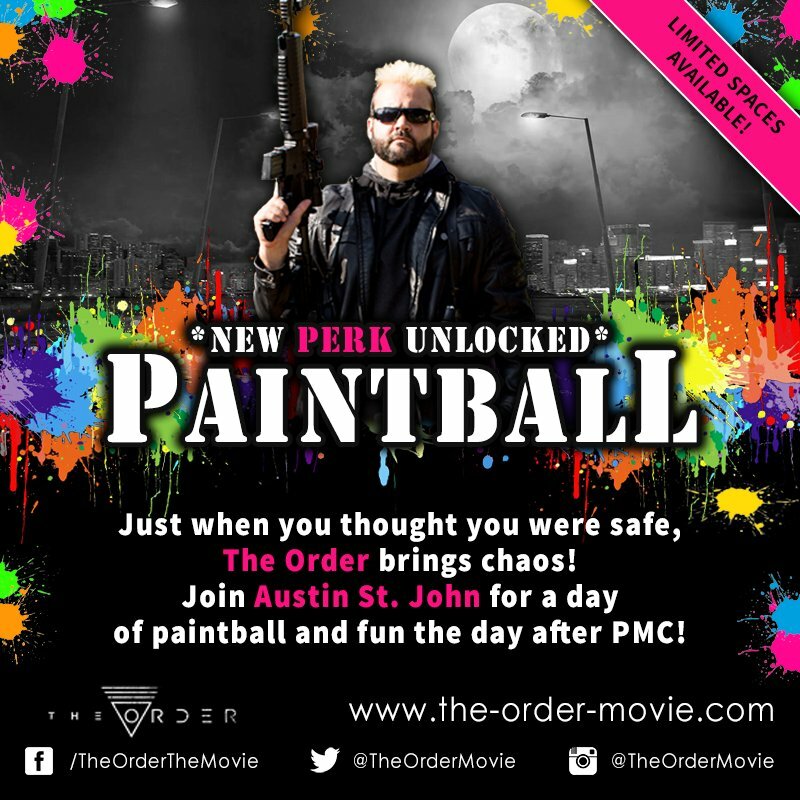 You can play paintball with Austin St. John or join the entire cast and get actual lines! No walking by in the background as a blur (though there is a “be an extra” option if that’s more in your budget). 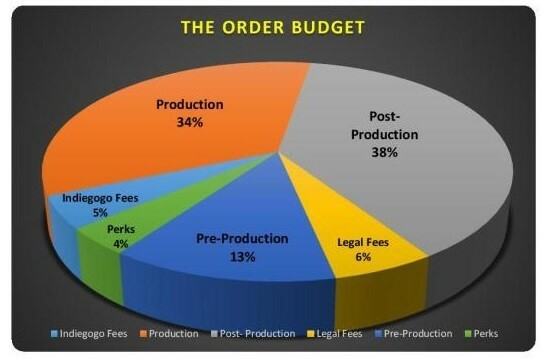 Check out all of the perks the-order-movie.com. And these guys have the budget nailed down. Included on the campaign page (and just below) is a pie chart detailing the percentage breakdown of exactly where all of the money they get will go. There’s no “will they won’t they” that is becoming more of a problem recently. The cast and crew are professionals, and they’re ready to show you exactly what you’re getting and how you’re getting it. Needless to say, we’re pretty stoked for this movie, and after checking out the trailer, we can bet you are, too. 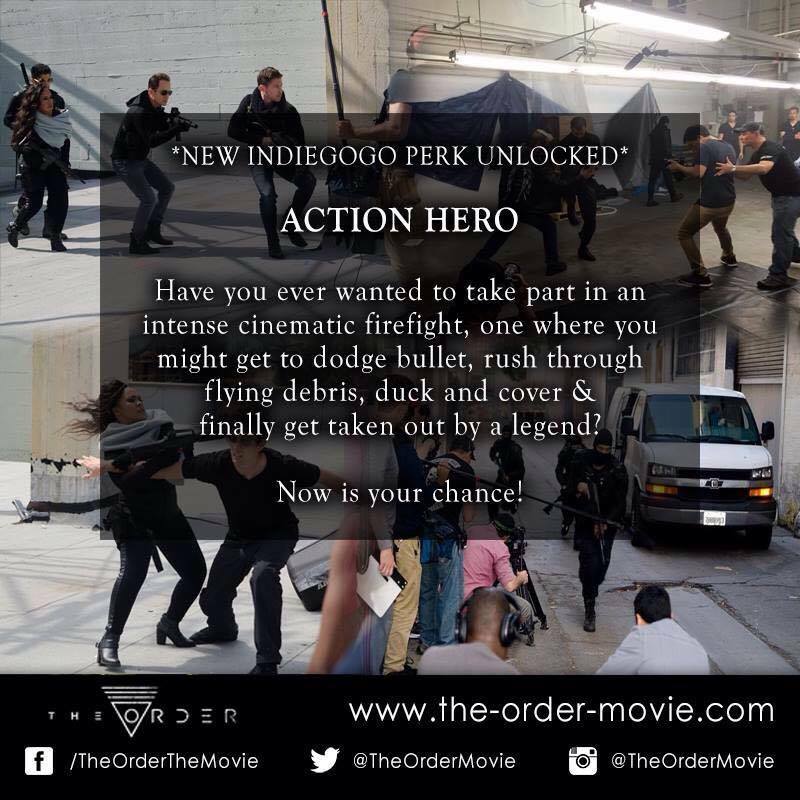 So check it out, pick a side, and head over to the-order-movie.com to help this amazing project come to life.